Spend your Sunday with Brunch, Beats, and Brass. 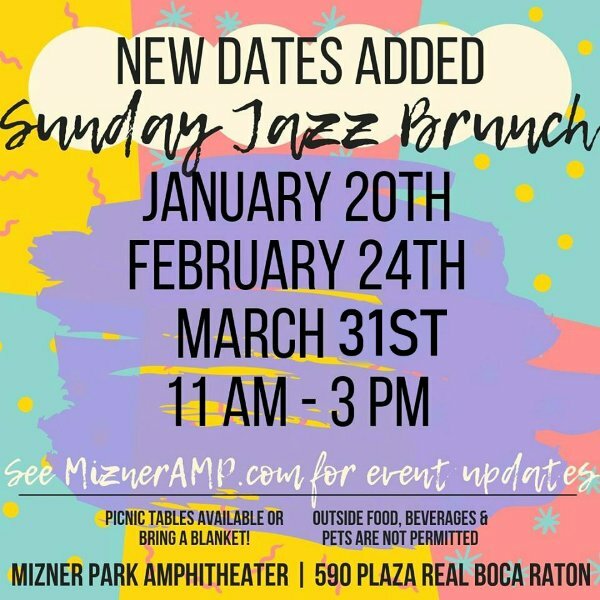 Mizner Park Amphitheater’s first Sunday Jazz Brunch, soak up some sunshine, enjoy jazzy tunes, dance to a mixture of upbeat jazz, soul, and funk. Don’t skip the amazing brunch food trucks or the Blood Mary bars. Sunday Jazz Brunch will be the perfect spot to pick up some holiday gifts or treats from our pop-up vendors.